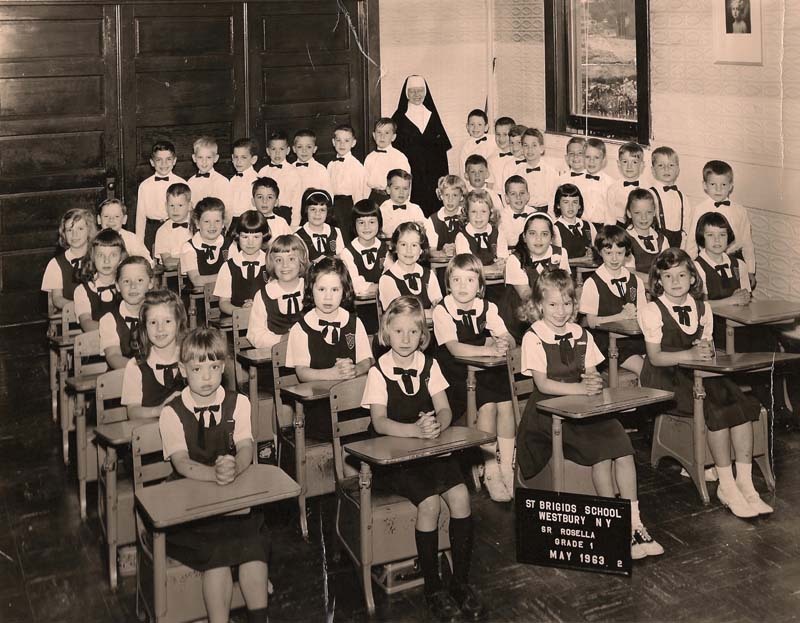 The phrase “first day of school” took on a certain significance exactly 100 years ago this September, when eight small classrooms came to life under the direction of Rev. Dr. William McGinnis as St. Brigid/Our Lady of Hope Regional Catholic School opened its doors for the very first time. 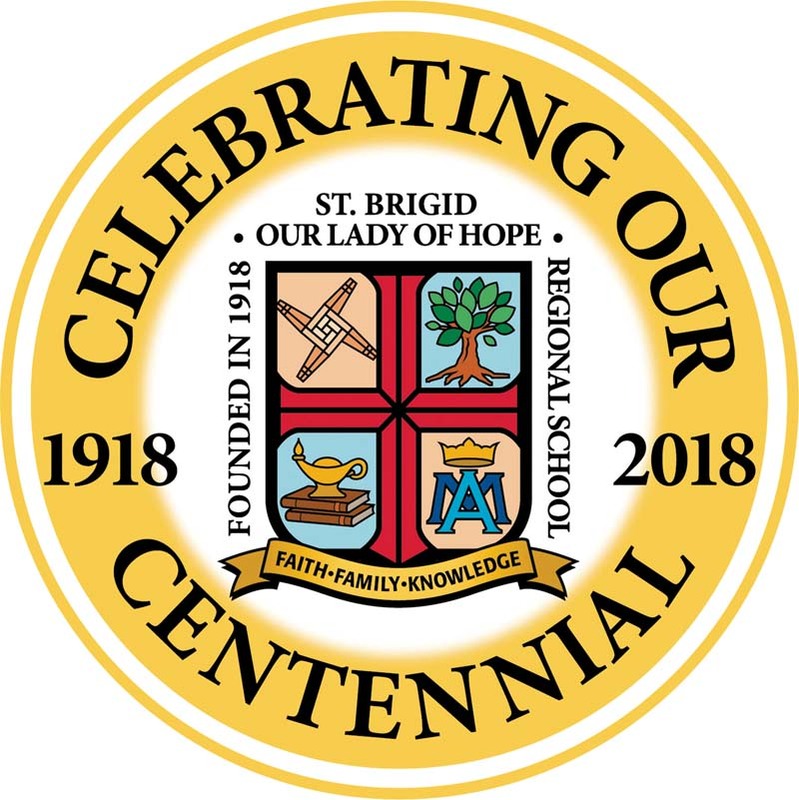 The 2018-19 academic year will provide many opportunities for reflection for the students, families and faculty of St. Brigid, which serves age groups ranging from pre-kindergarten to eighth grade, as they celebrate their centennial anniversary of family-fueled, faith-based education. 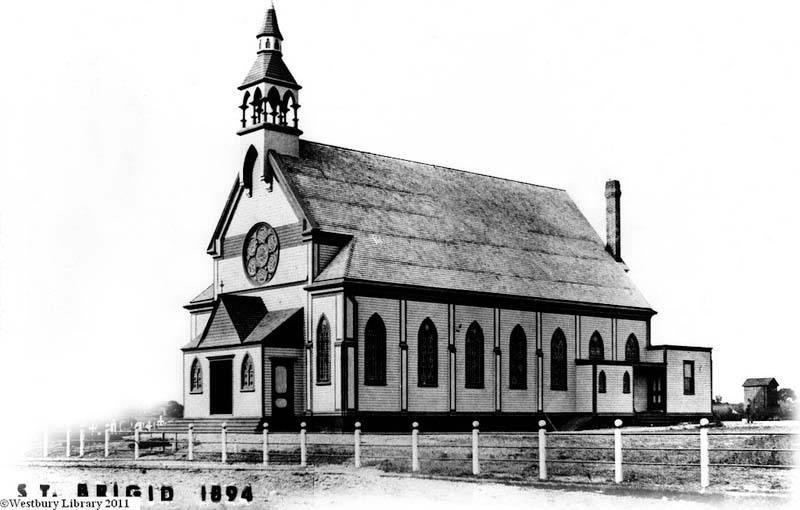 The school was founded in 1918 as Westbury’s first parochial school by Rev. Dr. William McGinnis, pastor of St. Brigid’s Parish, and was initially conducted in part by the School Sisters of Notre Dame. 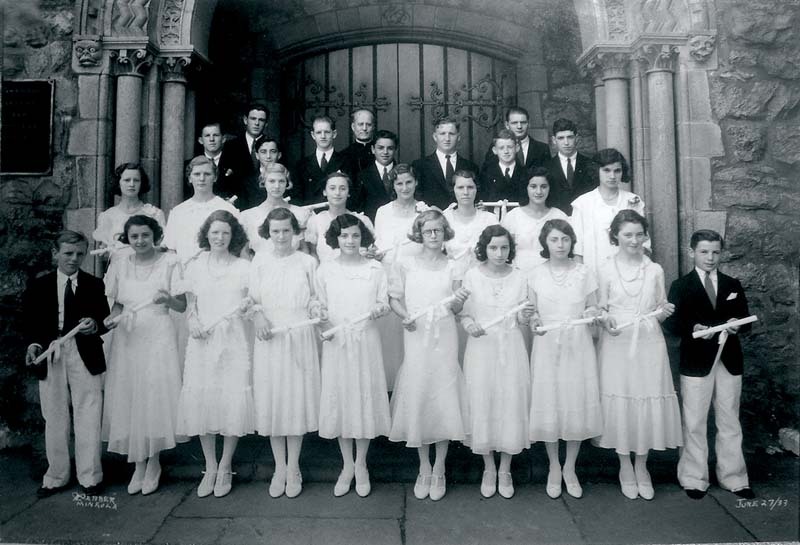 After welcoming its first handful of students, the school embarked on a century-long voyage of educational advancements and societal changes while holding true to its transcendent Catholic values, and has now expanded to accommodate nearly 400 students and stands as the heart of an extensive alumni network. St. Brigid principal of 21 years, Paul Clagnaz, notes that the proud community will be focusing their year around unifying past generations and reminding them how the school once ignited their passion for learning. The school kicked off their centennial year with a mass held on Sept. 8, which included a visit from the bishop as well as one of the graduates of the St. Brigid class of 1938: 94-year-old Frances Smith, an active member of the church community since her time as a student. To continue honoring this milestone, the school will be hosting a 5k Walk/Fun Run on Nov. 24, followed by an all-class reunion during which alumni from all stages of life are encouraged to connect with old friends and mingle with new ones. Additional festivities will stretch out over the course of the school year, and include a curriculum fair centered around the past 100 years of history, a centennial fashion show and a gala dinner that will take place in May. The hope for these events is that attendees will take time to acknowledge the positive changes that have contributed to the school’s success while also appreciating the consistent anchor of their mission. 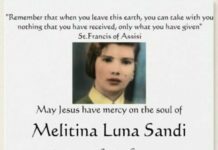 Aside from apparent physical transformations, like the building’s upgrade from its original Post Avenue location to the larger facility in which the school currently operates at Maple Avenue, and curriculum developments, like the integration of technology into lesson plans and the derivation from strictly pen-to-paper learning techniques, Clagnaz specified a number of ways in which St. Brigid has evolved over the course of the last century. According to Clagnaz, today’s classrooms still reflect major shifts in societal norms as they occurred over time. Another societal progression that can be visualized through the St. Brigid student demographic is the influx of immigrants to the states in the 20th century. While the institution started out with a primarily Irish and Italian student body, its population has expanded to include students of an increasing variety of racial backgrounds. Though the school has sustained many changes over the years, one feature of the St. Brigid’s culture that has remained constant is a dedication to instilling important values and a lifelong passion for learning into each graduate. 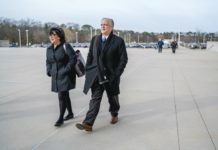 Clagnaz asserted that he hopes every student will leave the school instilled with both a sense of intellectual curiosity and a moral compass to guide their future endeavors. St. Brigid continues to update their curriculum to foster a competitive, challenging and enjoyable atmosphere for their students. A few initiatives in particular include a mock trial program that the school coordinates in conjunction with St. John’s University School of Law, a developing opportunity for students to shadow college-level “mentors” in the medical field, and planned renovations to outdoor recreational facilities. 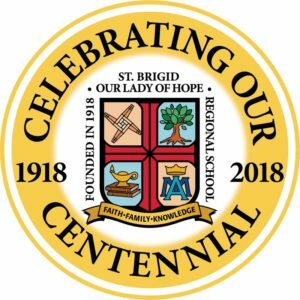 Clagnaz notes that St. Brigid hopes to make productive advancements on their campus as they enter this new century, hoping for another hundred years of valuable education and positive community growth as they prepare for what the future may hold.